« Episode 45: Netbooks – Gadget Lust or Marketing Hype? A new breed of web-savvy “infopreneurs” are leveraging their skills to build their own brand and make money on the web. Let’s look at a few ways how they do it. Today I’m going to throw out a term that I’ve been hearing a lot lately, even though Wikipedia says it was trademarked back in 1984 – Infopreneur.Â It’s obviously a combination of the words information and entrepreneur, and the modern use refers to people that are making money using the internet to market, distribute, and sell information. Today we’re going to look at some examples. As the internet continues to evolve, these web-savvy infopreneurs are leveraging their skills to build their own brand.Â These “hyperinfluencers” create digital products, and then spread the word of their personal projects through various forms of social media. 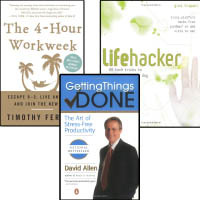 Inspired by popular books such as Lifehacker, Getting Things Done, and the 4-Hour Workweek, people are looking to make passive income not only to generate a little spending money, but to have a fallback should they lose their jobs. In the traditional model many years ago, the wealth of this country was made in mega industries such as railroads, steel, oil, and land. But what many of these infopreneurs are after is passive income… making money 24×7, even if you’re not there. Stocks … you’re making money on companies that pay dividends, or think how much money Bill Gates makes while he’s sleeping, just on the interest alone. But I don’t have to tell you how well Wall Street, the music industry, or the real estate market if fairing recently. That’s why there’s been a boom in trying to generate income from information and online products. The cost of producing it is nearly free, in other words, you certainly don’t have to build a steel plant or work on an offshore oil rig, anyone can call themselves an expert, and with a little help from Google, some of the business will actually find you. 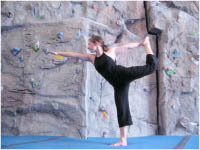 Let’s say you’re a yoga teacher living in Denver, and you tend to gear your class toward individuals that are into rock climbing. You might ask… Well, how many “yoga rock climbers” could there possibly be? But let’s take it one step further. The natural launching point of many infopreneurs is the blog. They’re free to set up and they’re great for building search-friendly content. What most people probably don’t know is that only a very small percentage of bloggers will actually make any money. In fact, Technorati’s State of the Blogosphere report shows that while nearly half (46%) of bloggers have advertising on their site, the median annual income is just $200. However, it certainly doesn’t stop them from trying. In a March 2008 study by Universal McCann reports that 184 million people worldwide (PDF) have started a blog, and that 77% of active internet users read blogs. So how are people trying to monetize their blogs? This remains the most popular form of advertising, with 38% of bloggers, but there’s worry that this market is declining as well. Photo below of Jeremy Schoemaker, displaying a monthly check from Google Adsense from August 2005. 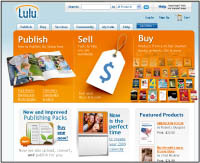 Affiliate marketing is taking a percentage of revenue from sales of products on other sites. For example, with a major retailer like Amazon.com, users get paid 4% if someone clicks on a link on your blog and then buys the product. Companies are getting more advanced in their offerings, providing tools for bloggers such as embeddable widgets, and realtime reporting of their revenues. All without spending a dime! And if all else fails, there’s always the fallback of getting a real job. So I guess it’s all just a matter of perspective. The key takeaway here is that with social media, all of these elements can work together, and what might be the darling of the web one day is the so 2002 the next, and you need to be able to jump quickly when that happens. 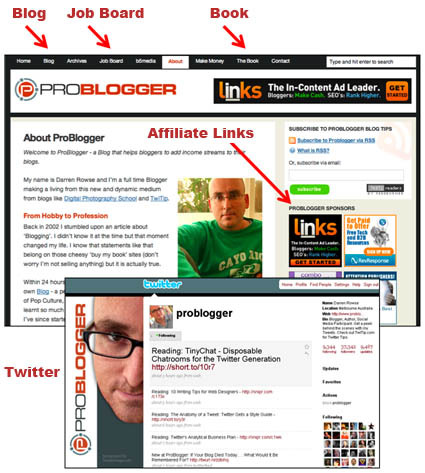 Appropriately, I’ll end with a profile of blogger Darren Rowse, whose Problogger.net site was started in 2002 to specifically help people add income streams to their blog. The site consistently generates amazing, high quality, actionable posts that millions of bloggers can put to use. 1) He starts by getting noticed in his niche by creating an immensely popular blog, doing speaking engagements, and guest blogging on other sites. 2) He builds up a social media following, accumulating 5,000 friends on Facebook, 40,000 followers on Twitter, as well as huge following via RSS and email. -Â Â Â Taking his learnings and applying it to his other blog, Digital Photography School, and launching a new blog based on the newest trend, TwiTip. Like a lot of new media professionals, I still care about real estate, I still have money in the stock market, and take the railroad (subway more specifically) to work every day, but for the infopreneur, the digital age certainly offers a wealth of opportunity. You might also like: Episode 34: The Hyper-Influencer â€¦ Word-of-mouth marketing mavens using social media to influence sales. This entry was posted on Wednesday, March 4th, 2009 at 12:12 pm and is filed under Branding / Advertising, Facebook, Marketing Case Studies, Social Networking / New Media, Twitter. You can follow any responses to this entry through the RSS 2.0 feed. Both comments and pings are currently closed. © Copyright 2012 Hopkinson Creative Media, llc.